There are several factors that are continually cited when people are asked what they look for when they choose a dry cleaner, and oddly enough these factors are the same ones that people cite when they say they do not go to the dry cleaner enough. 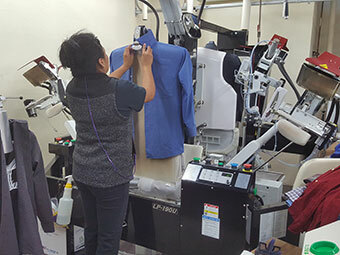 Many people do not make it part of their regular routine to have their dry cleaning done, which probably has more to do with a changing culture in American than anything else. It used to be that the workplace was formal for almost everyone who did not provide manual labor, which meant that suits and dresses were expected to be part of the wardrobe that would be worn every day. This meant that these clothes had to be cleaned far more often, and because these types of clothes also cannot be washed in a home washing machine the dry cleaner became part of your regular routine. A man who wore a suit to work would ultimately wear it only once or twice before having it dry cleaned, and shirts were worn only once. This would mean that you would have a closet that might consist of 10 to 14 suits and twenty dress shirts, one being worn every day and then taken to be dry cleaned as a group at the end of the week. Women who worked would have the same types of wardrobes, consisting of work clothing, evening wear and casual clothing. Work clothing would make a regular rotation to the dry cleaner every week. Now that workplaces have become far more casual, and the concept of “casual Fridays” now is extended to the whole week in many cases, the wardrobe that is able to be worn daily consists of clothing that can be washed at home. While this may seem more convenient, in many cases it actually is not. The idea of “casual clothes” replacing work clothes is actually not the case, and the clothing that is now able to be worn to work in many cases is simply less formal business attire. These types of clothes should still be dry cleaned in order to protect the fabrics, and the only reason that they are not rotated to the dry cleaner is that people no longer want to take the time to drop off and pick up. This is why so many dry cleaners like Complete Cleaners will offer a totally free drop off and pick up service, where you simply leave your clothes in a bag on the front steps of your home and a van will pick it up and transport it to the location. When the order is complete it will be returned to the same spot and a credit card on file is charged. 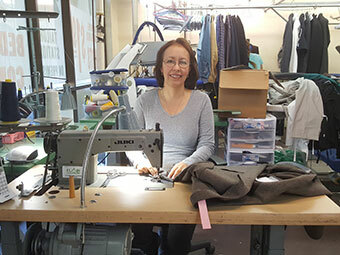 As far as cost goes, protecting the fabrics of fine clothing is necessary to keep it looking new, and the small ongoing costs of dry cleaning will hardly add up to having to purchase new work clothes more often than if you simply kept them in good order. Don’t skip your dry cleaning, get it done regularly and often.